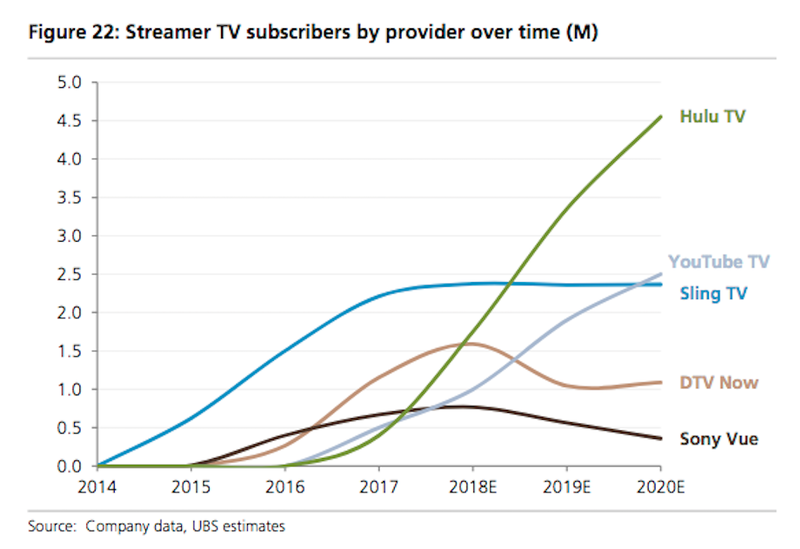 Though UBS sees the demand for these services increasing, it also sees fewer people who will "double up" by subscribing to both a streaming TV package and a cable or satellite one. 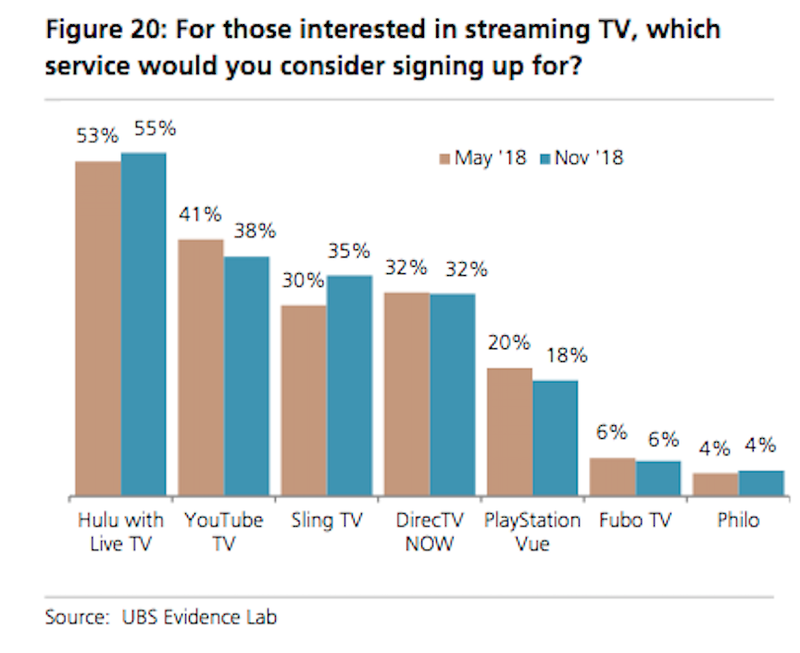 In a report distributed Monday, UBS analysts predicted that Hulu with Live TV and YouTube TV would continue to grow through 2020, while Dish's Sling TV would plateau and AT&T's DirecTV Now would falter. "After aggressive promotional ramp, we expect DirecTV Now subscribers to decline in 2019 (consistent with 4Q18) given the recent price hike and customers coming off promotional pricing," the analysts wrote. "With AT&T's focus on achieving EBITDA stability in its Entertainment segment, we expect Watch TV (skinnier Streaming TV service) to be AT&T's primary promotional tool going forward." While interest in streaming TV is rising, the UBS survey showed that fewer people were likely to "double up" on services - subscribing to both an internet TV service as well as a traditional cable or satellite one - "reversing an earlier dynamic where customers kept both as they tested new platforms," the analysts said. "As streaming alternatives become mainstream and transmission quality continues to improve, we believe households with dual subscriptions will fall," the analysts wrote. 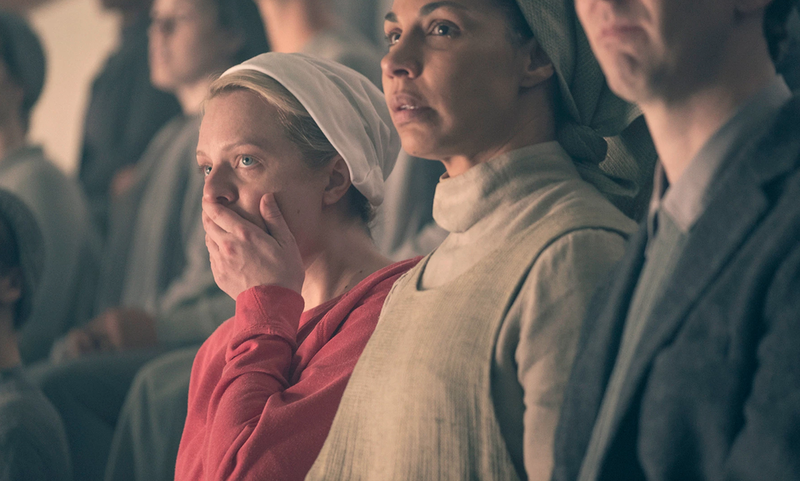 "This is supported by survey results, which have shown a steady decrease in the percentage of respondents with Streaming and traditional pay TV subscriptions. Intent for cancelling dual subscriptions is also on the rise. Over 40% of respondents suggested they would cancel their pay TV subscription if they signed up for Streaming TV, up from 31% in the May 2018 survey."